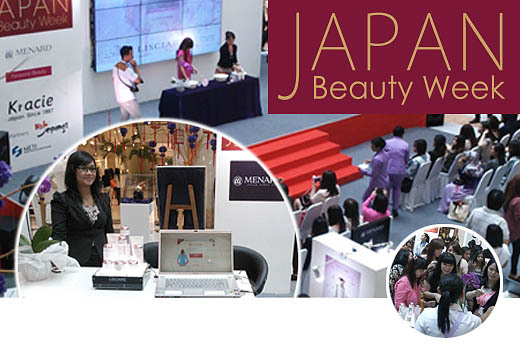 "Japan Beauty Week in Jakarta" was held in Indonesia from January 23 to January 26, 2014 and Menard Cosmetics participated in this. This event, hosted by the Ministry of Economy, Trade and Industry in order to enhance knowledge of Japanese cosmetics overseas, was held at an upscale shopping mall called "Plaza Senayan" and was busy every day with many visitors. Demonstrations on Menard facial treatments were held at a special stage, while counseling and skincare techniques were performed at the display booth. This was a great opportunity for many people in Indonesia to know about Menard Cosmetics.